Though there are still bugs like Ranger Stronghold bug and pathfinding issues, I think there are not many of them. And I think the game still is at the best state it has ever been with the latest version. There is no going back to vanilla or tutu or v1.3 etc. for me ever. In terms of UI, I dislike some new screens like the new Spellbook screen introduced in v2.0 and the Journal screen, especially in BG2EE. Thankfully there are great UI mods, so I use UI mods for those two. But I agree with previous posters about SOD UI being the best one. Oh yeah, I hate the new spellbook screen and the way dialogue is displayed. I hate the way the record screen is divided up. But we have the power to fix that stuff now. In 1.3 you just had to live with it. @lefreut that's all well and good but it doesn't change the fact that the 1.3 games were old & busted. Which is why (getting back to the original point) when the OP talked about "my beloved game" after taking a "long break" from playing, most people did not assume they meant the "beloved" 1.3 patch. Because, that's crazy. Whereas, for all that the original BG1 is technically inferior by today's standards, it was amazing when it came out, and truly worthy of being deemed someone's "beloved game." So that's where the conversation went. I don't know which version is the OP beloved game. Most of the recent posts were about 1.3 vs 2.+, hence my answer. Saying that 1.3 is old and busted is your opinion not a fact. Everyone is free to have his/her own opinion. For some people, it can only take one bug/regression in an area they care a lot to make a patch unplayable for them. Yes some people hate v2.+ only for the sake of trolling, but others have valid arguments. I don't see why you can't accept that someone may like v1.3 more. Myself, I don't even know which one I like more as both have good and bad things. I don't hate v 2.+ but I do hate everyone that points out what is wrong with the UI because once you see it you can't unsee haha. Seriously, I would never notice 99% of Adul's list, now I can't look at the game without thinking "how the hell that passed me by for so long?". Hate you guys. Keep doing a great job. Yes some people hate v2.+ only for the sake of trolling, but others have valid arguments. I don't see why you can't accept that someone may like v1.3 more. Who said anything about trolling, and who said anything about not accepting others' opinions? I do tend to put more stock in my own opinion than in contradictory ones, of course. It is based on reason and facts. For instance, I've yet to hear any arguments why you would prefer to play, say, BG2EE 1.3 over pre-EE TOB. I'm honestly not sure that I would. It's been quite a while since I've played either, I tend to put more of my attention into BG1/BG:EE. However, three things that immediately come to mind that I probably would miss from BGII:EE are quick loot (even with its initial bugs), window background transparency for the various UI screens, and middle mouse button viewport scrolling. Those are just off the top of my head, there's almost certainly more stuff that I'm forgetting about. Reason and facts only go so far here. It's ultimately down to what features and issues you care about most, and which versions include them. UI posts - please wait for the blog entry with replies to the community questions, everything should become clear after that. My main criticism of the EEs is aimed at the fact that in maintaining the legacy of such a classic series, Beamdog seems to miss the mark just as often (if not more often) as they hit it. Some changes should be considered objective improvements: fixing long-standing bugs, supporting modern resolutions, making the engine more robust (and thus expanding the possibilities for modding), etc. There are also certain quality of life improvements that while not essential, certainly improve the experience for new players and veterans alike: instant loading times, zooming in and out, quick loot, and so on. No one in their right mind would argue that those aren't welcome. However, the EEs also wander into the murky territory of subjective changes and additions. Was it really worth it to replace the classic movies with low-budget versions? Was implementing an arena-type adventure such as The Black Pits the best use of their limited resources? Are the new NPCs and their quests integrated in a way that doesn't overshadow (or stand out too much from) the original content? The answers to those questions vary wildly depending on who you ask. And of course, it also matters *why* you're asking these questions. It can be argued that not pushing the limits of what these games can be defeats the purpose of the EEs in the first place. On the other hand, it can be argued that the purpose of the EEs should be above all to preserve the legacy of the games and keep them accessible to everyone as old software gradually becomes incompatible with newer hardware - there's a reason why these titles are so popular after all, so one should be careful not to try and fix that which isn't broken. When you trace down Beamdog's path with the Infinity Engine EEs, from the first BG to PST, it becomes clear that it's been a long process of trial and error. BG:EE throws quite a lot at the wall to see what sticks, while PST:EE is much more conservative, to the point of being at its heart a work of restoration. My personal opinion is that BG:EE, being the first trial in the process, has suffered the most. In my mind, PST:EE is what BG:EE should have been, even if it doesn't hold the same reputation of untouchable classic that PST does. I think they could have reached a compromise of bringing it closer to the sequel without sacrificing the quirkiness, personality and so much of the spirit of the original game. For all its objective superiority in most technical aspects, I still can't help but see BG:EE in its current state as the restored Ecce Homo version of Baldur's Gate - and yes, I'm fully aware of how hyperbolic and subjective I'm being here. And I'll also admit that much of my current impression has to do with the UI, of which I had written about extensively but will hold off talking about until we read what the devs have to say about it. Whenever I see people saying how great 1.3 was, all I can think of is the 1.3 bug where casting "luck" permantely removed the weapon proficiencies of the person it was cast on. If we're going to turn this debate into a cherry picking contest, I can also say "whenever I see people saying how great 2.5 is, all I can think of is the pathfinding bug that gets characters bumping into each other instead of moving forward". It accomplishes nothing. Every build has bugs. That some (or most of them) of them were fixed doesn't invalidate the argument that the game as a whole might have deteriorated in other areas. I don't think anyone here has said it was great (other than the OP, possibly), only that some of us think it's possibly the best that we have. There's a big difference. And I do agree with @Kilivitz in that I too would have preferred a more conservative, restorative approach to BG:EE. It's a shame that, because it came first, it had to be the initial test subject of Beamdog's refinement of the EE process. It definitely has the most rough edges and questionable design choices of all the EEs. 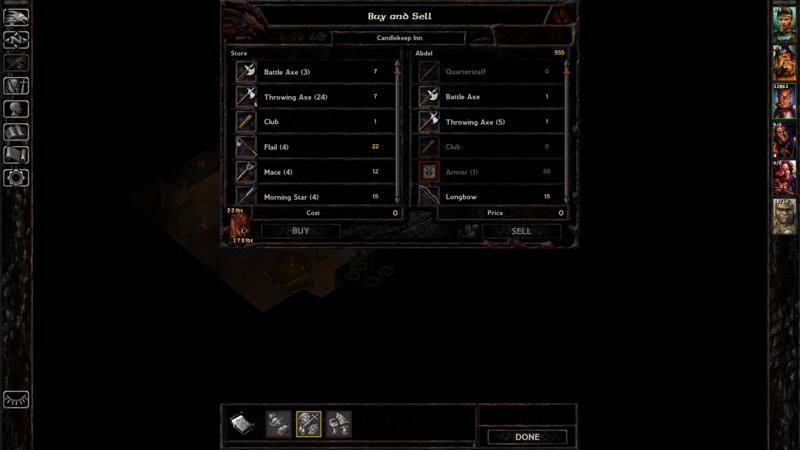 The UI is, in my opinion, the best example of Beamdog missing the mark. And I promise, "different = bad" is not where I'm coming from. Nor am I protesting their doing away of the gray stone look in favor of the new blue stone and black dragon scale looks. In fact, I actually like them and thought it was pretty refreshing seeing them when they first came out. Making BG:EE simply look like the original did at first glance is perfectly doable and the modding work involved in doing so could have been a small price to pay for all the flexibility added by the new UI system. My problem is with how shoddily implemented it is. And look - if you don't see anything wrong with it, either because you don't pay attention to the UI or because you think it currently looks and feels absolutely fantastic, cool. More power to you. I'm glad you get to have a rewarding experience. But trust me when I say that by whatever standards, either current RPGs or the original games, and in both aesthetic and usability aspects, the 2.0+ UI is *bad*. And while I won't blind myself to its improvements (of which there are some), I won't pretend every single one of them doesn't come at the expense of something else. I couldn't tell you how it got to this point. Maybe they put the wrong person in charge of it. Maybe they had to cut corners and the whole thing simple lacked oversight. It doesn't matter, really. What matters is that it's a bit disheartening that after three years of extensive community feedback, we can only look forward to adjustments if they happen to overlap with the work being put on the console ports. I am aware it makes sense from a business standpoint - the PC/mobile versions have been out for a long time and are simply not where most of their revenue is going to come from. I totally understand the need to move on from the PC versions. That's not a promotional screenshot, @Kilivitz . It's just the screenshot from the game, as is, for a general post on social media, designed to have a good talk with audience beyond this forum. For the time being, however, all of the UI work we’re doing is centered squarely around the console versions of the games, so any changes to the PC UI won’t happen for a while. It takes less than 5 minutes to edit the UI and fix the panel positioning. The person that post this screenshot should have push the team to fix this so that he/she can promote the game with a better looking screenshot. - preparing builds for shipping to all the multiple stores. Just stop for a moment, and try to imagine this work process. Also, try asking yourself what you would do if you have hundreds of things you can potentially fix, grading from "A" issues to "D" issues, and what you would pick to fix. Then multiply that on the amount of games to support. Then multiply that on the amount of platforms these games are being played. This is automated (or if it's not it should be). You can do other things while the build is running. At least some of this should be automated. The rest is most probably not done by the same person that fix the bug. And in the case of a simple UI fix, it should not take months. Ok this one can take a lot of time Of course you can't immediately release the fix everywhere. My point was that by now one developer should already have pushed the fix and that it should have ride in one of the previous release. v2.0 was release something like 3 years ago, it should not take this long to fix such an easy bug. Also while not game breaking, some UI bugs should, in my opinion, have a high severity as they can hurt you when you promote the game. When it comes to this specific bug (the misaligned store panels), there's no uneducated guessing going on - it's a simple (to the point of trivial), well-known fix to a bug that's impossible to miss, specially if you play at 1080p or higher as so many people do. What's more, the exact steps to fix it have been documented in the UI modding subforum for years. And the fix itself has been tested by pretty much everyone who's installed any UI overhaul mod since then. That's why it's so baffling that it wasn't in the 2.5 patch. In the end, it comes down to explanations such as, they're not properly testing the game (I mean, how long can you playtest without accessing any stores?) or just couldn't be arsed, or have serious problems prioritizing fixes. And before I get accused of being a neurotic nitpicker - guys, it's not the bug itself I'm whining about. I'm merely using it as an example of the seemingly nonsensical approach the studio currently has to developing these games. I mean, it's funny Julius should mention the whole grading of issues from "A" to "D", because I'm left thinking of how exactly color-coding Flaming Fist officers and Black Talon bandits as "good guys" and "bad guys" grades in that scale. This seems a curious thing to pick on to me and I can't see how it can reasonably be described as a 'bug'. Whether panels are aligned or not is essentially an aesthetic choice and I doubt whether everyone would agree what looks best. I admit though that my focus on the game is very heavily gameplay oriented, so I pay little attention to the details of aesthetics. If you look at it from a gameplay perspective though there could even be minor advantages to not having exact alignments as that's one way of distinguishing between panels (in this particular example that's not necessary, but it could be relevant in some screens). It seems obvious looking through this thread that there's not going to be agreement about what makes the best UI. However, there's another aspect to choices about UI and that's to look at how customizable it is. I have no knowledge of modding, but I thought it was the case that a lot of what was hard-coded in the original BG and early BGEE was now available to modders. If that's so the ability to choose what you find particularly important would seem to be quite a strong argument in favor of v2.5. I also don't trust you when you say: "But trust me when I say that by whatever standards, either current RPGs or the original games, and in both aesthetic and usability aspects, the 2.0+ UI is *bad*." . It's a number of years now since I played vanilla BG1 regularly and as I said I don't really take a view on aesthetics (though if forced I would say I never particularly liked the look of the original BG1). However, if we're talking usability my view is that v2.5 is better. I could understand a novice player might prefer the original as being slightly simpler, but the increased complexity of v2.5 is justified by the additional information it makes available - and I would certainly not wish to go back. I can't see how it can reasonably be described as a 'bug'. Whether panels are aligned or not is essentially an aesthetic choice and I doubt whether everyone would agree what looks best. Does the enormous gap in the middle of the screen look like an aesthetic choice to you? If it does, and if you prefer it like that, I'm sorry to inform that it really isn't, as I've just found out it's going to be fixed in the next patch. if we're talking usability my view is that v2.5 is better. I could understand a novice player might prefer the original as being slightly simpler, but the increased complexity of v2.5 is justified by the additional information it makes available - and I would certainly not wish to go back. While I obviously won't argue with your preference for the current UI, the problem with your argument is that you're assuming I define "usability issues" as "increased complexity", which I don't. You can lay out a lot of information and still be user-friendly. The problem with the new Record Screen and Spell Books, for example, is not that they have more information, but rather that the information is displayed in a way that's confusing in the former and breaks the logic of left/right clicking in the latter. And that's just the tip of the iceberg. Then multiply that on the amount of games to support. Then multiply that on the amount of platforms these games are being played. With all due respect, it is not our problem as costumers. As I said in other occasions, Beamdog clearly bit more than it can chew. And that's why I reacted so badly when the announcement to video games happened and I restrained myself to not be so blunt when A&A was announced. The more important market approach is keep your market share, not expand it. The way things are being managed makes me see everyday more and more people uninterested in Beamdog's products. IMHO all this marketing nightmare started with DCA. The community, as least here in this bubble, always was very clear about what they (we) want. But Beamdog keep in what I see as a collision route. I used to wish for an IPO from Beamdog to literally throw my money at the company and profit with the games I love, but now I wouldn't put a dime in it. The reason? A&A and NWNEE. Not the games per se, but the reason behind them. I had a suspect when Beamdog embraced NWNEE that got almost 100% confirmed with Beamdog's notes related to A&A: Trent treats Beamdog as his personal playground. I can't believe that no one that ever studied more than 10h of Marketing told to Trent that he's decisions are being bad. That the most loyal community is feeling neglected - and doesn't matter if we are indeed being neglected or not; when we are talking about Marketing feeling matter. I thought that the new "newsletter" (I don't know the proper name for the posts you announce here, sorry) would ease a lot of hearts, but it did exactly the opposite of that - especially when it comes to UI as what Beamdog said is basically "we don't care about what you guys are saying, we'll do our stuff and let's hope something fits your needs/demands". Honestly, with all my heart, despite all your efforts and good intentions @JuliusBorisov , Beamdog need to reconnect with us ASAP. Even as a way to show respect to you, that keep holding the line pretty much alone. I can't believe that Luke or Trent or whatsoever can't take 10 minutes of their day to make us feel heard. Or respected even - I confess that I felt disrespected with NWNEE. But that's a whole different story. Interestingly, I've also always been unhappy with BGEE in particular- but mostly because it didn't change enough. I know that ties into their agreements with the various powers-that-be, but my #1 change would've been an extensive expansion of NPC dialogue, to bring it in line with BG2. I also consider BG2 to be a vastly superior game to BG1, though, which I know makes me something of an odd duck on these boards. I think the idea was to "enhance" BG1, but not necessarily to make it as good as BG2. I certainly agree with you that BG2 is the superior game, and that's just the way it is. I don't think the developers could change that. As for BG1EE not changing enough, I felt like this particular one received the biggest upgrades. Let's not forget all the things classic BG1 lacked: class kits, dual-wielding, BG2's character models, etc. BG1EE gave us so many of the great things that originated from BG2. Whereas with BG2EE, a lot of things were already there and didn't need to be added. For me, BG1EE gave the game a whole lot of replayability for me that wasn't there beforehand. I played the crap out of BG2, but didn't get the same amount of enjoyment out of BG1 until the enhanced editions came along. I think you're just illustrating that things are more complex than you suggest. Your screenshot is the result of not selecting the option in the game to scale the user interface. If you don't do that then something is going to give - such as gaps or stretched text. Beamdog have currently given players the option of whether they want the UI to scale or not. If they 'fix' that in the next patch I imagine that will be done by taking that option away and enforcing scaling - but from your previous comments I doubt whether that's really what you want. I agree that the record screen could be laid out better - but I still think it's significantly better than vanilla. I don't see any problem with the logic for the spell books though. Currently left-click selects spells from the list and right-click deletes spells, which seems intuitive to me. 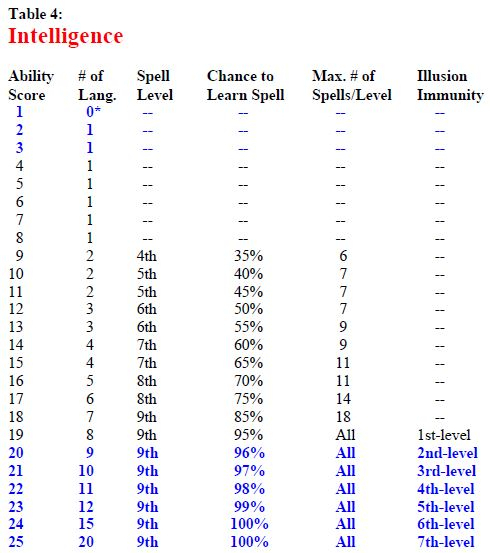 In the list of selected spells, left-click deselects them (which I guess is what you are saying breaks the logic). However, there is only one action required for this list - to de-select - and it makes sense to me that when only one action is required that is performed using a left-click (as that's the standard computer default). While different arrangements could obviously be used, the current one seems as good as any to me. I think I've had my say on this topic though. As I posted originally the UI is not a big issue for me and I therefore felt reluctant to post at all. I eventually did so, after considering responding several times, because it seemed to me that the thread was becoming increasingly unbalanced in the way criticisms were being made and I wanted to make the point that not everyone feels the same way about the UI. I did of course recognize though that I might just generate more argument by posting and I don't want to get into further argument about something I don't really care about. My perception is that any problems with the UI are minor and don't really detract from playing the game. However, I recognize that there are many reasons for playing and those who feel aesthetics are a vital component to their enjoyment will give far more weight to what I would consider minor issues. - most, though not all, players found the BG2 engine and functionality preferable to BG1. I think it would have been a bad commercial mistake not to have 'upgraded' BG1 to BG2 as part of the enhancement process. - historically PST has not had lots of mods applied to it, but the BG games have. That suggests to me that there was likely to be both a desire for more changes to BG and to amend the game to make it more moddable in future. Objectively BG 1 has probably been updates the most, however, it does not feel like because so many players were already using some TuTu variant. My feeling on the new contents were mixed as well, in the 1.x versions I played I always ran into some bugs. First it was a blurry screen, later on one of the first Candlekeep tutorial questions (with the Identify scroll) was broken. Not major, but also nothing I want to see in a game that used to run very stable without many remaining bugs for me. When we came to 2.x it had some new issues, e.g. the last one I played (I think it was 2.3 or 2.4) was the first time my BG sometimes crashed when saving or traveling. Very annoying. Gameplay wise there are other changes that feel out of place for me, e.g. the changes to the sleep spells (which also broke Emotion), the updated icons, the change to Poison Weapon that was made to balance the overpowered Blackguard but affected the Assassin as well... the list goes on in that regard. However, what is great is the across platform availability and the improved modding support. So I am still happy the EEs exist - and I know that there other players like @subtledoctor who unlike me think the gameplay should have been changed more, while I personally prefer staying true to the originals and 2nd edition AD&D. In fact, how much Beamdog took from 3rd edition is another pet peeve for me. Admittedly, I am not even a fan of Sorcerers. I must admit, that I started out rather sceptic. I have zero complaints - bar the lack of new content. But we all enjoy different things. I will object to the things I dont like, and so should everybody else be free to do. I admit that I until now have spent zero minuttes in the “lets fix the UI” threads, so I had no clue how many felt. But that has changed, and I now see your points. I still dont agree, but I am glad that I got enlighted in a civil and informative matter. So thanks for the intel, and I hope you get what you want and hope for. Perhaps a soultaker resolution and an awesome UI for everybody?